Aren’t you surprised, to see a post at our blog, finally? Then you aren’t alone, as I for one is surprised on my own account. I was just finding a reason to be back, hoping to pit the blame on the usual suspect factors of day-job, and new found family commitments. But that option was used and re-used often, that they didn’t hold any credit, anymore. So, while having an inclination to be back, I was also trying to find an occasion for the same. And the occasions, there were plenty (more about it on a later posts), but the effort was equally demanding. So, what brought me out of my cocoon to post only the 5th post ever at Comicology for this year (you read it right, and believe me, it’s the last thing I would like to boast about)?? Well, you can say from the title, as it is the Return of the Tamil Comics master themselves, Lion Comics, with the long awaited XIII Collector’s Special, finally reaching its subscribers, in the process making their first appearance for the year, 2010. Do you remember that the last Lion Comics edition was released way back in Nov 2009, almost a whole year in between. So now you be your own judge, and tell me aren’t you surprised? Jokes apart, this Collector’s edition was no doubt, one of the most anticipated edition ever in the history of Tamil Comics, the Southern Indian dialect, ever since it was announced a couple of years back (or was it in 2006?). Questions were raised, on how this project could be feasible, as Lion Comics, had only tread a path of 3 mega specials, which were duly priced for INR 100, in the recent past. Even though the sales were said to be encouraging, the fact remained that many of the editions were unsold, until the last Chennai Book Fair. And here, Editor was talking about bringing an edition, which was to be priced at INR 200, collecting the every possible albums released in a series, which spanned over 23 years for the finale (in its Original French run). Everyone, right from the occasional readers, to the serious collectors, knew that it was a herculean task, a kind of which has never been achieved in any comics series, in any languages, world over (for a single connected series). But they were hopeful, pitting their trust against the indomitable spirit of the Editor, whom the readers knew of through his past adventurous initiatives. With time passing year by year, that confidence was shaken to its deepest bottom, and to compound the issues, Lion Comics, which only recently had started to have some regular issues, suddenly went out of circulation. There was no news whatsoever, either about the fate of the XIII Collector’s Edition, let alone the fate of the entire comics business of Prakash Publishers. Gossip-mongers, Critics, Opportunists, had their field day, and the niche crowd of Tamil Comics fandom, started to retreat, and was in danger of moving over to other hobbies (I see that some of them have already). But, after much deliberation, delayed announcements, and multi-revised targets, XIII Collector’s Special – aptly titled “The Complete Collection” is here on our hands, at last. It features two stunning covers at the front and the back, the originals of which were definitely an inspiration. But these versions looks to have built over on it, and has achieved a quite a reasonable perfection. Let your eyes be the jury. No doubt, this would be the fattest comic series to have ever been released in India, collecting a single series. And no wonder, Editor, an often subdued proclaimer, making that clear on the cover itself, as India’s First. As usual, the Editor’s and reader’s favorite Hotline, opens up the edition, and as expected it runs down to two full pages, detailing the adventures of publishing and editorial teams, to bring up this title into fruition. Despite all differences over opinions pertaining to his step motherly treatment to the least earning comic business in his portfolio, I need to admit that, Mr.Vijayan has an uncanny knack of getting under the skin of an regular reader, on both counts. He gets the pulse of the readers, their thought work, and their expectations (even though he often fails to fulfil them), andhe still manages to make a reader hook onto him, when he starts talking. The humour laced words and writings in his editorial, gives us a warm feeling, and makes us feel proud of being a comic fan, for what he still has to offer. Even though, there would always be a man in us questioning his lack of interest, or his repeated failures to catch on a readership straits and patterns, you could still not help trace the amount of work which has gone through in bringing these mega-issue to us. As a matter of fact, he explains how his Editorial piece, was the one which wasn’t completed in time, ultimately pushing the release dates further behind. As I gather from sources, not only that, even the Binding, which was previously not expected to be a huge task, seems to have a taken a toll resulting on further delay. As this heaviest book needed manual stitching and glue, something which wasn’t planned ahead. Coupled with the financial restriction, of having to stick to the originally announced price of INR 200, even though it was made a handful of years earlier; and the inability to garner the expected amount of advance bookings, didn’t help to boost their sagging morals. But, they had themselves to blame for the non-interest of readers, as they failed to capitalise when the readership awareness was beaming and open-ended. Despite all these shortcomings, much needs to be said that he considers himself as a comic fan, more than an editor, when he chooses a particular series for publishing. That’s exactly the one which keeps his niche readers still on his side, no matter what the shortcomings on the delivery. I had made the booking for this collection, back when it was first announced. But, some accounting problems, led to my name being missed out from the original list. Hence, I wasn’t among the ones, who received the book first-up. After hearing that my good old friend, RT Murugan, had received his package, I ran helter-shelter to reach him and get one of his ordered copies for myself. The enthusiasm, I realized in doing so, which I long thought has seized as far as Tamil Comics was concerned, was the same as the one I had during it’s glorious run in the past. "The enthusiasm I realized, which I long thought was done for as much as Tamil Comics are concerned, was at the same level of good old days. I realized that the good-old-me, is still waiting somewhere in there, hoping to see a Tamil Comics Market, one in which he grew up and cherished, to attain somewhat a similar level, once again for good. Not Ego-maniacs, Nor the Self-proclaimed Star of readers, can help achieve that. It needs visionaries and those with the intent to remain in the market, and survive. Lion/Muthu Comics Editor is certainly, the one to count on that front. Enough with my blabbering. Now that we are in the moment of rejoice, let’s look into our Man-of-the-hour, the XIII Special, more in detail. Creator’s Corner: Usually, it’s our style at Comicology, to write about the Creators of the series or comics in review, as a token of credit for their contribution to the comic series we celebrate. But, this time I am excused from doing the honours, as Editor, has decided to dedicate a page, to show these behind the scenes personas, the creators of the series, who had captivated readers worldwide with their unblemished talents - Jean Van Hamme, the gifted writer, and William Vance, the talented artist of this legendary series. Not one or two pages, can do justice to the works of these two gentleman in this series, so we would reserve it for a later blog post at our site. But, along the way writing about the creator, Editor S.Vijayan, in his typical style, has thrown up another tantrum, by indicating that Van Hamme’s another famous comic series, detailing the adventures of fictional billionaire, Largo Winch, would soon be making its debut on Lion Comics. He has just completed a series spanning 19 albums, and here he is referring to another legendary series, which has 17+ albums in its own account, and still counting? Only time would tell, whether it was a comic fan in Vijayan, who spoke those words, or was he determined to pull it off, the same way like he did in the case of XIII (even though after two decades). 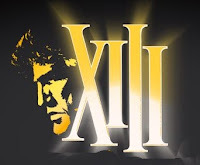 XIII – Search for a Man’s Self: Now for the showdown, we all had been waiting for, of XIII, and his quest to trace his origin. Like you, I am more than interested, to know the final outcome. Even though the original French run was completed way back in 2007, I had never read the conclusion to this series. French always remain Green and Latin to me, and the only promising English editions, were only running until the 6th album, by various US based publishers. With the wait of the Tamil translated ones looking superstitious, I had to rely on the unofficial Scanlations of XIII volumes, in order to quench the thirst. But, the fate had it saying there too, as after Volume 17, the scanlation project on the series were also left hanging, with 2 volumes yet to come out of the domesticated workshop. Then came the announcement that Cinebook, were to launch the series under their line-up. I was confident that we have finally arrived at a publisher, who were intent to see the series to its completion, in English language. But, the issues were scheduled to be released at a rate of on album, every two months. At a rate, by which we would have to wait for another 2 years, for the final two volumes to see the daylight. We would see about the Cinebook edition of XIII, later in another blog post, as it deserves a special mention. But, here now we have all the 18 volumes (one volume has been given a miss on the Original 19, about which you can read at the end of the post), which speaks long and deal about the XIII’s saga, in our beloved Tamil language, finally in one go. Not only that Editor Vijayan has launched a re-compilation of the 11 volumes original published under various brands, owned by them in the past, this time around he has also gone extra mile to name each volume, with an aptly suited Tamil version of its original title. 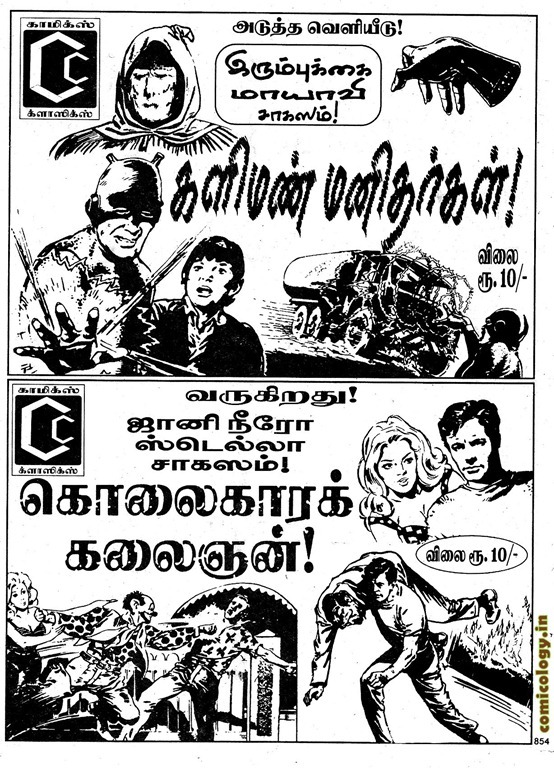 Seeing the wonderfully drawn covers in black and white, doesn’t really do justice to the works spent on it, but that has been the case of Tamil Comics, ever since, reminding us on the concept of Opportunity Cost - Often giving up the quality, to make it affordable to one and all. Now, it’s a topic out on debate, for sure. But, let’s push that aside, sit back and enjoy the series waiting to be unravelled before our eyes, which played hide and seeks for two decades of our life (unless you turned Franco, or you have got an acquaintance, in there). We are at the winning side, any case. Here are the sweetly titled album covers, in Tamil, which finds its place in the inner pages of this mega collection. On my part, I have added the English editions, wherever available, for you to work out the best from both worlds. To start with editor has missed printing the first cover, which I guess was by mistake, more than the intent. So, I have made it up with the second hotlines, stamp image, to get the run. Note that some of the covers have been used in reverse (negative side), which doesn’t make much difference, though it’s quite evident on XIII Red Alert, with the US President’s seal smiling at us, with an mirror-image. I guess this again, was a result of hurrying to see the edition on print, as pointed out by Editor himself. Also, not all the 18 volumes published in this collection, belongs to the duo of Van Hamme and William Vance. As Volume 17 (Volume 18 in the Original), alone was drawn by Jean Giraud, the man famous for Blueberry, aka Captain Tiger (as he is christened in Tamil). His style is visible enough, but I have my own reservations as whether it fits the overall bill of the XIII series. I would leave that to be decided by the readers themselves. For the Tamil Comics fans, here is a write-up on this particular album, by the most talented blogger, Kanavukalin Kathalan (a nickname in Tamil, meaning Lover of Dreams), over at his blog. That post incidentally, was his first in a long journey of blog posts. 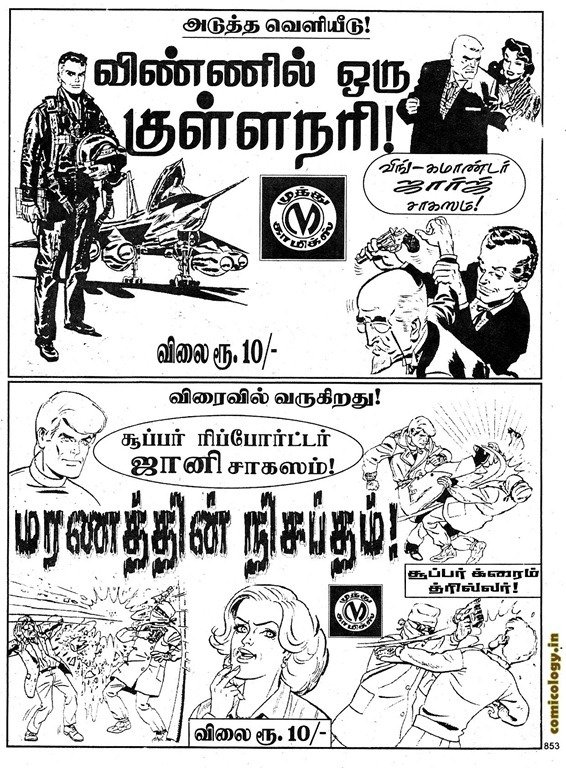 So, an series which was started way back in 1986, in Tamil Comics world has finally come to an end in the year 2010. A span of 24 long years. Almost mirroring it’s Original French editions run, which dates back to 1984 (as a serialized form, in the then Spirou magazine) to the recent past 2007 (with the release of the last albums, 18 and 19). The Only difference - while the original was continuously released on a periodic basis, it’s lesser known counterpart, in Tamil language, had its proven start and stop show, all these years. Often becoming the envy of its ardent followers. Editor S.Vijayan, a man who never misses to refer comics moment such as this, decided to write another One-Page Hot-liner, highlighting the fact, and the struggle behind all those releases, culminating to the dreamt Collector’s edition, which decorates our hands at the moment. At the end of the day, despite all the achievements and accolades, XIII the series, has received over the years around the globe, a true fan will admit that it was way past his selling date, by half way through the series. It was unnecessarily stretched, despite coming to a logical conclusion, pretty early, as much as for me to date it to the 12th Album, itself. The remaining albums, which tried to confuse and divert the readers to newer mysteries, never quite leave the impact, the former ones were able to generate at the heart of the readers. The series often meagre into a man on the run, much like the typical Hollywood action movies. The personal touch of the XIII, with the readers, had long lost its charm. "At the end of the day, despite all the achievements, XIII has received all over the globe, a true fan will admit that it was selling way past its due date. A point even noted by Jean Van Hamme himself, in one of his interviews, where he cited that the reason he made a close to the series, was that it was getting monotonous, and they clearly had no direction to take the character further. More on the interview can be read here. This observation is also shared by the Editor S.Vijayan, on his editorial writing as mentioned in the Second Hot-line. As he rightly pointed out, when the cash-cow is milked by the owners, what would a meagre caretaker do on that account. At the end of his Hot-line, Editor revisits the plan for the forthcoming issues, and his grand plan to make the 3 books subscription pattern, which he first made public, in the last Lion Comics issue #208. How would that turn-out, makes for an interesting wait. Editor also mentions that the Lioncomics.com would be re-launched. It’s pending for at least 3 years now, and would help to make our comics reach more masses, acting as an official mascot in the internet world. Editor’s Flash-Back: Editor S.Vijayan, continues his recounting of the yester years of Lion and through its publication, in his Flash Back Series titled, Singathin Siruvayadhil (சிங்கத்தின் சிறுவயதில்! ), loosely translated to Younger Ages: when a Lion was a Cub. You don’t need an intro for this series, which has become almost a second feature for our readers to turn-in-to, after the ever popular Hotline. It was missing out from the previous issues, but here it’s back again, in an issue which matters the most to the legacy of Lion Comics, spanning 25+ years. On these episode, Vijayan, takes us through his first encounter with the stylist Bruno Brazil, and the evergreen Lucky Luke. But, as if as a co-incidence, or was purposefully drafted by the Editor himself, this episode of the Flash Back, also introduces his first encounter with the character, which is the one holding the hot-spot, in this out-of-world compilation. Yes, it indeed was XIII. Forthcoming Attractions: And as discussed in the Hotline at the start of the book, the concluding papers of this Collector’s Edition, lists out the forthcoming titles in the line-up. Now you decide, isn’t that an Around-the-World coverage by a single publication? Seven of them are the the INR 10 editions, all of which, could be obtained by paying a lump-sum amount, by using the coupon here. But, only if you aren’t a subscriber. Also, note that the 8th feature of Lucky Luke is advertised as INR 25 special, meaning that it will mark the start of the 3-books-subscription pattern, if all goes according to plans. What would happen to the subscribers (including myself), who might still have some money reserves left, after the advertised Seven Rs.10 issues, is yet to be seen. I only hope that they would be accommodated in the next batch releases, as appropriate. Apart from the forthcoming attractions, the usual backorder list finds its place again in this issue. I guess there are no major changes in it, as from the last one. But, for those who would like to keep it handy, for any backorders, here it is. 19 vs. 18 ?? : XIII Mystery: And finally, to point out about the one volume missing out from the 19 set original editions, in this Tamil Collection. It was XIII - Album 13, which doesn’t actually fit into the overall storyline, at least to a greater extent. The XIII Mystery, as it was titled, was a getaway from the Traditional comic style, with illustration based story-telling, of two reporters who go around digging the dirt on the Mysterious XIII, and the people behind the conspiracy. As expected, Editor has given a miss on this title, which makes the 14 to 19 on the original albums, being numbered as 13 to 18, to complete our collection. While, the Collector’s Special talk was being flown around the comic enthusiasts, many of them often debated, as what would be the album which will miss out from the Tamil collection. Editor had long made it clear, through various advertisements, and hints on his editorials, that the collection would comprise only of 18 volumes. Many who have read the series, at least in various forms, guessed that Volume 13, would be the one missing out on the cut. And they were all right. But, talk about our Editor not missing out from utilising the fame of XIII, even he has finally come good on promise to complete the series, he now projects the missed out XIII: Mystery volume as a possible INR 25 issue feature, in the forthcoming releases. If carried out, it will be another first of its kind, in Tamil Comics, featuring illustrated art pages, and comics in between to talk about a serious plot, throughout an album. Let’s see how many takers are there for the concept. So that concludes, our preview and you could say review, of the long awaited XIII: The Complete Collection. It’s a new beginning for Lion Comics, and one hopes that the promises to keep the flag afloat, is kept to its entirety at least, in this leg of our rebirth. And just to sum up, the whole collector’s issue, here is a full blown cover which encompasses this fattest comic album series in India. If you haven’t thought about buying it so far, then this would no doubt make you to do so. Enjoy your Read, Amigos. I am going to do that, myself. See you all, in the next post. At the Eleventh hour, u got the tome and unwrapped it too. Well, now you are in 7th Heaven. I haven't get my copy yet. But I have some reservations about the way the Book came. You did a nice review about the Book. I sincerely wish this book make spectacular success. பிந்தி வந்தாலும் முந்திக் கொண்டிருக்கிறீர்கள்.. நண்பர் இலுமி உங்களிற்கு சூட்டிய குவிக் போஸ்ட் ரஃபிக் எனும் பட்டப்பெயர் இவ்வளவு தீர்க்கதரிசனமாக அமையும் என்று அவரே கனவில்கூட நினைத்திருக்க முடியாது. இரவு முழுதும் உழைத்து பதிவை தயாரித்திருக்கிறீர்கள். ஸ்கேண்களின் தெளிவில் தங்கள் அயராத அர்ப்பணம் தெரிகிறது. வான்ஸின் கையெழுத்துடன் கூடிய முன் அட்டைப் படம்!!!! இதுதான் முதல் தடவையா?! மூலத்தின் வண்ணத்தெரிவுகளுடன் மெலிதாக விலகி, இருள் குவிந்த மேகங்களை நீக்கி அதற்குப் பதிலாக பப்பாளி பிராகசப் பச்சையை பிரயோகித்து தன் ரசனையை டார்கோட்டிடம் இருந்து வித்தியாசப்படுத்திக் காட்டியிருக்கிறார் ஆசிரியர். பின் அட்டையில் செறிவான வண்ணத்தெரிவுகள் மூல அட்டையைவிட அசத்தலாக தோற்றமளிக்கும் ஒரு பின்னட்டயை உருவாக்குவதில் வெற்றி கண்டிருக்கின்றன. பின் அட்டைப்படத்திற்கு ஒரு சபாஷ். கவர்ச்சிக் கன்னி ஜெஸியை எந்த அட்டையில் பார்த்தாலும் அழகாகவே தெரிகிறார். ஜான் ஜிரோ[ட்] வரைந்த ஆல்பம் வணிக நோக்கை பிரதான இலக்காக வைத்து- எல்லா ஆல்பங்களுமே அதை வைத்துதான் - வெளியானது. என்னைக் கேட்டால் அதில் ப்ளுபெரியின் முகச்சாயல் மக்லேனிடம் ஒட்டிக் கொண்டிருக்கிறது என்பேன். அவரின் பாணி சித்திரங்கள் என்ற வகையில் அவை வான்ஸிடம் இருந்தும், கதைத்தொடரின் சித்திரங்களிலிருந்தும் வேறுபட்ட உணர்வலைகளை வினியோகிப்பது என்பது இயல்பான ஒன்று என்றே கருதுகிறேன். அருமையான அலசலுடன் கூடிய பதிவை வழங்கிய உங்களிற்கு அடுத்த ரேப் ட்ராகன் அத்தியாயத்தில் வீர வசனம் பேச வாய்ப்பளிக்கப்படும் என்பதை மகிழ்ச்சியுடன் :) தெரிவித்துக் கொள்கிறேன் . என் தனிப்பட்ட விமர்சனங்களை ஒரு புறமாக ஒதுக்கி வைத்து விட்டு ஆசிரியர் திரு. விஜயன் அவர்கட்கும், இந்த நிகழ்வை சாத்தியமாக்கிட உழைத்த அனைத்து நண்பர்களிற்கும் நான் சொல்ல விரும்புவது ஒன்றே ஒன்றுதான்! Bravo! வாரே வாஹ்.... !! இதைவிட ஒரு தீபாவளிப்பரிசு வேறென்னவாக இருக்க முடியும் சொல்லுங்கள் !!! பட்டையைக் கிளப்பும் பதிவு.. இதோ ஓடுகிறேன் காமிக்ஸ் வாங்க ..... யாஹூ !! இன்று மதியம் கிடைத்தது. சுட..சுட உங்களின் இந்தப் பதிவு. எல்லாவற்றையும் ஸ்கேன் செய்து..அப்பாடி... உழைப்பு பிரம்மிக்க வைக்கிறது. இந்த மாதிரி ஒரு காமிக்ஸ் புத்தகம் தமிழில் இனி வருமா (கேப்டன் டைகர் / லக்கிலூக் போன்ற கதைகளுக்கு சாத்தியமிருக்கிறது) ?. புத்தகத் தயாரிப்பு உலகத்தரம். இன்று காலை விட்டுப்போன லக்கிலூக் காமிக்ஸ் ஒரு புத்தகம் 160 ரூபாய்க்கு ஆர்டர் செய்துவிட்டு, 860 பக்கங்கள் கொண்ட ஒரு புத்தகம் ரூபாய் 200க்கு விற்க எவ்வளவு சிரமப்பட்டிருப்பார் என்று யோசிக்கையில், இங்கிலீஷ் புத்தகத்திற்கு செலவழிக்கும் அவ்வளவு தொகைக்கு முன், இந்த ராட்சஸ புத்தகம் ஒரு சாதனையே. ஹேட்ஸ் ஆஃப் டு விஜயன் & டீம். Nice to see your post first on the net!!!! After years of wait, finally the book is released. It creates lot of expectations. Even the 18th and 19th parts are not translated (scanlated) in English and we have the book in Tamil. Great isn't it? @ Rajaganesh @ Anony: Thanks for recording your presence, and hope you would come back to comment on this comic issue, once you grab and read them. @ Josh: Your wishes are mutual, my friend. I too have a lot of reservations on the way we were made to wait, with practically no proper updates. We deserved a better treatment, for sure. நீங்கள் கூறுவது சரியே. பொதுவாக அட்டையை மேம்படுத்தும் பணியில் அதில் இருக்கும் எழுத்துகளை அழிப்பது லயன் முத்து நிர்வாகத்தின் வழமையான காரியம் தானே. இம்முறை அதை இன்னும் தெளிவாக மிகைபடுத்தி காட்டியிருப்பது, பொறுப்பாசிரியர் ஓவியருக்கு பெருமை சேர்க்கும் விதமாக தான் இருக்கிறது. அட்டைகள் இரண்டும் வண்ண தேர்வில் கண்ணை பறிக்கும் விதமாக மாறி இருக்கின்றன. லயன் முத்து அட்டை ஓவியருக்கு ஸ்பெஷல் பாராட்டுகள் கண்டிப்பாக தெரிவிக்கபட வேண்டும் தான். ப்ரெஞ்ச் மொழியை தவிர மொத்த ஆல்பங்களும் வெளியாகி இருக்கும் ஒரே மொழியாக தமிழ் பெருமை அடைந்திருக்கிறது. விஜயன் மற்றும் அவரின் குழுவிற்கு ஒரு ஷொட்டு. நான் இவ்வலைத்தளத்தில் பதிவுகளை ஆங்கிலத்தில் தொடர்ந்து இடுவதே, மற்ற மொழி ரசிகர்களுக்கும் தமிழில் வெளியாகும் சர்வதேச கதாநயாகர்களை பற்றி தெரிவிக்க தானே. அவ்வழியில் இவற்றுக்கு கிடைக்கும் வரவேற்பை, பார்த்து மகிழும் நபர்களில், நானும் ஒருவனே. கருப்பு வெள்ளையில் அட்டை படங்கள், கருமை நிறத்திற்கு மாறி இருப்பது ஒரு கொடூர காரியம் தான். ஆரம்பத்தில் அவற்றை வண்ணத்திலேயே வெளியிட தான் விஜயன் நினைத்திருந்தாராம். ஆனால், பிறகு 200 ரூபாய் விலையில் அது படியாது, என்று மனதை மாற்றி கொண்டதாக தெரிகிறது. தமிழ் காமிக்ஸுக்கே உண்டான தீராத சாபம் போல, நேர்த்தி மற்றும் தரம். இருப்பதை வைத்து சந்தோஷபட்டு கொள்ள வேண்டி இருக்கிறது அவ்வளவே. வெளிவந்த புத்தகத்தை வெறும் ஸ்கான் செய்து வெளியிடவே, எனக்கு 12 மணி நேரம் மேல் ஆகி விட்டது. மொத்த புத்தகத்தை உருவாக்கும் உழைப்பில், இது தூசு போல தான் தெரிகிறது. ஆனால், தொடர்ந்து இப்படி தனிபட்ட முறையில் செயல்பட முடியுமா என்று தெரியவில்லை. பதிவுகளின் நீளத்தை, புத்தகத்தின் தரம் மற்றும் வெளியீடு காரணங்களை வைத்து இனி கூட்டியும் குறைத்து வெளியிட்டால் தான் விடாமல் பதிய முடியும் என்பது உறுதி. XIII தொடரின், கடைசி 7 ஆல்பங்கள், பணத்தை மட்டும் அடிப்படையாக கொண்டு உருவானது தான், என்பதில் இரு வேறு கருத்துகள் இருக்க முடியுமா. ஒரு வழியாக அதோடு முடித்து வைத்தார்களே புண்ணியவான்கள், என்று சந்தோஷபட்டு கொள்ளலாம். ஓவியங்களுக்காக மற்ற ஆல்பங்களை சகித்து கொண்டாலும், 17வது ஆல்பம் திருஷ்டி பரிகாரம் போல தான் இருக்கிறது. ப்ளுபெர்ரியின் சாயல் அங்கங்கே தென்பட்டாலும், ஏதோ வித்தியாசமான வரைய முயந்து அதை சிறப்பாக செய்யவில்லையோ என்று எண்ண தோன்றுகிறது. இலுமி கொடுத்த அடைமொழியை நீங்கள் நம்பியிருக்க கூடாது.. அப்படி செய்தால் அதற்கு நான் பொறுப்பாக முடியுமா ? :) சோம்பேறிகள் கூட்டத்தின் தலைவன் போட்டிக்கு முயல போகலாம் நான்... என்னை மதித்து ரேப் ட்ராகனில் வீர வசனம் கொடுப்பது உங்கள் பெருந்தன்மையையே காட்டுகிறது, நண்பரே. விரிவான மற்றும் ஆழமான கருத்திற்கு நன்றிகள் பல, அன்பு நண்பரே. @ கருந்தேள்: உண்மை தான் நண்பரே. தீபாவளி பண்டிகைக்கு சிறப்பான பரிசாக தான் வந்து சேர்ந்திருக்கிறது. அதற்குள் மொத்ததையும் படித்து முடித்து விட முடியுமா என்று பார்ப்பது தான் அடுத்த வேலை. @ பின்னோக்கி: உங்களுக்கும் புத்தகம் வந்து சேர்ந்தது அறிந்து மகிழ்ச்சிகள் தோழரே. உடனே புகைபடங்கள் எடுத்து புதிய பதிவில் கூட போட்டு விட்டீர்கள் போலிருக்கிறதே. உங்களுக்கும் ST Courier மூலம் தான் வந்து சேர்ந்ததா என்ன ? பதிவின் நீளம் மற்றும் ஸ்கான்களின் அளவு, பெண்டு நிமித்தி விட்டது உண்மை தான். வார இறுதி என்பதால் நான் தப்பித்தேன். இல்லையேல் அலுவலகத்தில் தூக்க கலக்கத்துடன் திட்டு வாங்க வேண்டி வந்திருக்கும். ஆங்கில காமிக்ஸ்கள் எல்லாம் பிரதி 200 ரூபாய்க்கு கிட்டதட்ட விற்பனை ஆகும் போது, 200 ரூபாயில் 18 தொகுப்புகள் என்பது ஒரு இமாலய சாதனை தான். ஆனால், அதற்கு விலையாக நாம் தரத்தையும் விட்டு கொடுத்திருக்கிறோமே. அதற்கு இது சரியாக போய் விட்டது போல. ஆனால், இந்த இதழின் பிண்ணயில் வேலை செய்த அனைத்து லயன் அலுவலக நபர்களுக்கும் பாராட்டுகள் கண்டிப்பாக போய் சேர வேண்டும் தான் என்பதில் மாற்று கருத்துகள் இருக்க முடியாது என்பது என்னவோ உண்மை தான். @ ERB: First on Net, certainly it was, thanks to our friends. It seems the other early birds, missed their queue this time around :). The expectation to behold ~900 page behemoth, and that too in our beloved language, Tamil, is unmatched. It's as if the golden days of yesteryears. The feeling is mutual, my friend. You seem you are awake late, and I hope that is to read your copy of the special. Count me in too :). Thanks for the visits and comment, my dear friend. Ayiooo!!! Ayiooo!!! enakku eppo vandhu serumnu theriyalayae!!! No my friend.There had been several books like that, spanning over 1000 pages even and with hardcover too. 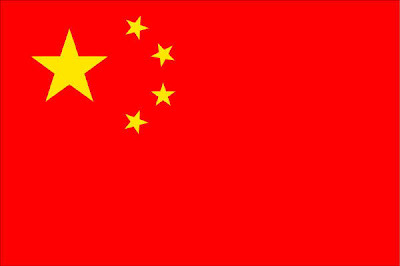 It could be said that this is an effort taken first in India,but not the whole world. The re-naming of each part in tamil seems good. I like Mr.Vijayan for that one great reason. I agree. It would have been momentous if it was ended at the 8 th part itself, with maybe two or three albums to finish up the comics with a befitting nail in the coffin climax. Lastly,It is the habit of lion comics to promise herculean announcements , only to see it shunned by the odds, no preparatory work, poor business skills, no advertisements and of course, delays..
லயன் காமிக்ஸ் ஆர்வம் மிக்க ரசிகர்களை நடத்திய விதம் கேவலமானது என்பதில் கருத்து வேற்றுமை இருக்க முடியாது.இனி வரும் காலத்தில்,நல்ல விதமான மாற்றங்கள் பல வந்தால் நல்லது. ஹாஹா... அதே தான்.ஆனா,அதுக்கு இன்னும் இவங்க லேட் ஆக்கி இருந்தா? This Diwali is going to be really superb diwali. No Doubt about it. Thanks to the Lion Comics team for their Hard work to give us a superb book. Wiating to get the book. Jokes apart, I guess I was the only aberration, so you should be receiving yours as promised. Let's Hope. @ சிபி: நண்பரே, கற்பனை கோட்டைகள் காணும் போது மிக அழகாக தான் இருக்கும். ஆனால், நிகழ்வில் அது நடப்பது மிகவும் சிரமமே. 10 ரூபாய் புத்தகத்திற்கு சந்தா அனுப்பவே யோசிப்பவர்கள் நம்மவர்கள். அவர்களிடம் 25 ரூபாய் புத்தகத்தை மூன்று மூன்றாக முன்பதிவு செய்ய சொன்னால் அது நடக்கும் காரியமா? கூடவே, தன் பிரதான வேலையை விட்டு விட்டு, காமிக்ஸ் வெளியிடுவதை மாதம் 1,2 இதழாக விஜயன் முயற்சிப்பார் என்று நினைப்பதும் சற்று அதிக எதிர்பார்ப்பாக தான் தோன்றுகிறது. பதிவின் ஸ்கான்கள், மற்றும் அதன் ஒரிஜினல்களை ஒழுங்கான லேஅவுட்டில் கொண்டு வருவதற்குள், நான் XIII ன் இரண்டு பாகங்களை மொத்தமாக படித்து முடித்திருக்கலாம். வேலை பெண்ட் நிமித்தி விட்டது :) பாராட்டுகளுக்கு நன்றிகள் தோழரே. @ ILLUMINATI: My dear friend. I knew that I would be asked this question, the moment I decided to write that it's the first time ever. But, belive me I am right for more than one reasons. That way, combining all albums released in a Short continuing series, with these many pages in one go, is a first of its kind in the World, is what I wanted to bring to notice by that statement. Apparently it seems, Editor had long drawn out on the conclusion that Volume 13, being not in an entirely comic format, would not be a viable option to print in his collection. நீண்ட நெடு அர்த்தமான மனம் ஒத்த கருத்துக்கு, நன்றிகள் பல அருமை நண்பரே. Surely, Diwali is going to bigger and better, with culmination of our long desire to see XIII in a full blown comic. I controlled my eagerness to read the XIII only in Tamil, before the lure of Scanlations, finally got a better of me, a couple of months back. Now, should find a time to read all 18 albums in one go, before finishing off the 2, I never read. Yes, you hear it right. In the all Blog post frenzy, and the time eaten by it, over the weekend, I am yet to finish the pending 2 volumes. Hope I will do that in the next two days. Oh yeah, I am definitely not being left outta this comics milestone... Though I didn't place pre-order, I've already called up Prakash Publishers regarding the stock. Am gonna take 1/2 day off the work and send MO. Good review buddy. Though I cannot understand Tamil but I read your reviews as they are very informative. You people in down South are fortunate enough to have a publisher who still publishing comics. Although irregular but still there are some. It is your reviews which inspired me to read Lucky Luke series and I am a huge fan of the series now. Before bumping on your blog I was not at all aware about French-Belgian genre. In fact did not aware about its existence. Though I had read Astrix & Tintin comics but was under the impression that they are also Western (read US) characters. Now I fan Lucky Luke, Isnogoud and Quick & Flupke. 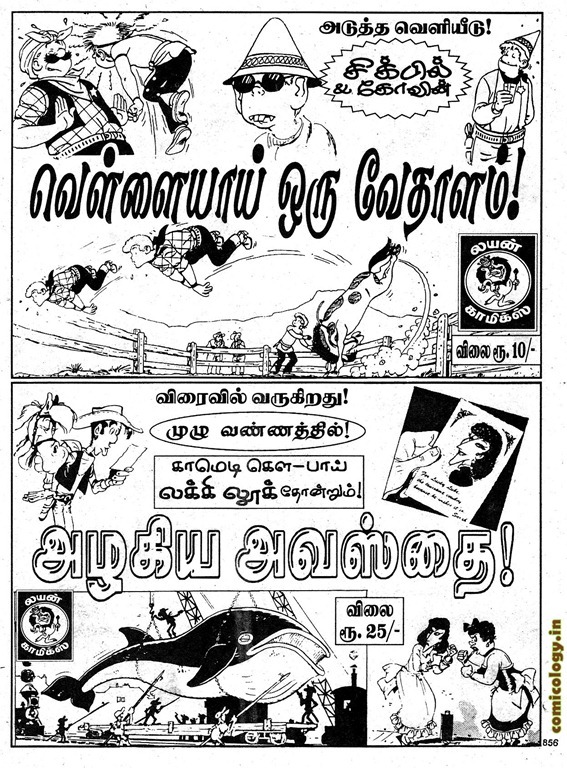 Can you request the publisher of Prakash & Lion comics to bring out these issues in English as well so that people who cannot understand Tamil can also read the same. They are dirt cheap. A Lucky Luke title for Rs. 10/- only!. Although Cinebook & Eurobook titles are good but they are quite expensive for an average comic lover and second their binding a matter of concern. One more request you were planning to take snaps of your collection for posting the same on your blog for a glimpse of your visitors on the lines of Zaheer Bhai of Comic World fame. Please do it. I am waiting for it for a long time. எவ்வளவு சந்தோஷமா இருக்கு தெரியுமா இந்த பதிவை பார்த்தும்? உடனே ஒரு பதிவு போட்டு காமிக்ஸ் ரசிகர்களுக்கு தீபாவளி ட்ரையலர் காமிச்சுடீங்க! தலைவரோட எந்திரன் வெளியான oct1 மாதிரியே ரொம்ப மகிழ்ச்சியா நான் இருக்கேன். விஜயன் சாருக்கும் மற்ற தொழில்நுட்ப நண்பர்களுக்கும் என் நன்றிகள் பல! நான் ஸ்ரீ லங்கா வில் இருக்கும் வாசகன். இரத்த படலம் கடைகளுக்கு விற்பனைக்கு வராத? I received the courier on 1st Nov 2010. Searched for posts. Somehow missed this. Read till 15 parts. Looks interesting. Am also getting the copies of Cinebook (Which is priced at around 450rs/part in India). 3 parts are released till now. I was really worried about comics in tamil after Lion/Muthu/CC stopped (Or may be paused, as always) distributing for the last few months. Good to see them back. Am planning to send them the money for the next 6 issues though I may stay here only for next 4 months. I get lots of information from this forum and I realy appreciate the efforts of you guys. Also, when I had checked about this issue in TNAGAR book shop (Opp to bus stop where they normally sell), the book was not available. Are they selling through retail shops or not? It took my several days to have a complete 'read' :P,wonder how many days you needed to complete the 'write up'?? :)) Jokes apart,I liked your(& all tamil fans) love for NEW Indian comics with Western Heroes,something which most of the Indian fans are missing very much(IF I'M NOT WRONG,THAT LAST TIME HAPPENED in 2003,with Egmont's Phantom releases..lol)...so you guys are damn LUCKY to get western books in local version!! 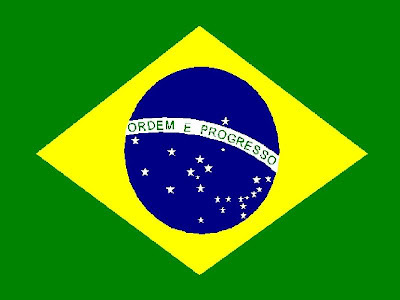 வணக்கம் நண்பர்களே! நான் மட்டுமே தொலைந்து போன பால்ய கணங்களை தெடுவதாக எண்ணி இருந்த தருணத்தில், இவ்வலை பூவினை கண்டேன்! அப்பப்பா எத்தனை பதிவுகள், எத்தனை காமிக்ஸ் காதலர்கள்? ஜம்பொ ஸ்பெஷலை பதிவு செய்து ஆவலுடன் காத்துள்ளேன். நண்பர்களே, இந்நாள் என்னால் நம்ப முடியாத நாளாக அமைந்தது. பதிவு செய்த இரண்டு நாட்களிலேயே இப்புத்தகம் டெலிவரி செய்யப்பட்டுவிட்டது. எடிட்டர் சாருக்கும், லயன் காமிக்ஸ் ஊழியர் அனைவருக்கும் மனதார நன்றி தெரிவித்து கொண்டு, நமது கதை நாயகனோடு ரத்த படலத்தின் மர்மங்களை முடிச்சவிழ்க்கும் பயணத்தை துவங்குகின்றேன்!!! for owning a Greatest Comics Collection at this size and price. @ Silly Boy: Dear Friend, It's so good to see you back at our blog and making your presence felt. It is the biggest honour even to know that my writing has inspred a few to chance upon the unknown Franco-Belgian genre, which though can't rival their American counterparts, they are good on their own counts. Lucky Luke is no wonder your point of attraction to this genre, he was for many of us, including myself. Who can trespass over a funny cowboy who boasts off incredible talent and a mount :) ? Iznogoud, Quick & Flupke, and you have really captured the fun of F&B, already. I request you to chance on the other serious titles, also, to make up the list and add the variety. It's heartening to see that, despite TinTin & Asterix beign so popular in our homeland, we are still naive about the origins from which they were developed. In fact, recently in one of Euro Books Franco-Belgian English releases, they made it a point to have a sticker fixed, which said that this series is as famous as Asterix in France/Belgium. It seems they have remained an yardstick, and people never bothered to look beyond them. The problems should also be attributed to Publishers, but what happened to the ones like Gowarsons which went out of the box. Maybe it all depends on what readers would like to hear, and they seem to be aligned to the ones made famous by others, rather than digging their own treasures. I would love to make a request to Lion/Muthu Publishers to release some frequent/occassional English editions, but they don't seem to be in an order to pursue that interest anymore. They had tried it in the past, and now when their main line-up of Tamil titles are still not on a good track, them moving over that venture, looks highly unlikely. I would love to point out that Euro books and Cinebooks are indeed cheaper considering the prices at which their American or Manga peers are getting sold. In fact, Cinebook sells their editions at 1/3 rd of price, where Euro Books are similar in that count. Take for comparison that a good American Graphic Novel sells at anywhere between INR 800 to 1200, where most of cinebook/eurobook sell @ less than INR 200. It's a price which we have to pay for chancing a newer territory, less we are left behind in the evolution in our reading choices. On the snap of my collection, I would love to... but fear getting raided by fellow comic fans on my humble den. Jokes apart, I would love to post some pics, once I have them ordered. Thanks for heartfelt comments and visit, my dear old friend. Keep Visiting. @ Siv: நீங்கள் கூறியதில் சிறிது நானும் உடன்படுகிறேன். சமீபத்தில் 200 ரூபாய் விலையில் பலே பாலுவும் வெளியாகி இருக்கிறதே, தரமான காகிதத்தில்? மனம் இருந்தால் மார்க்கம் உண்டு என்பதற்கு சான்று. இருந்தாலும் இந்த இமாலய சாதனையை நிகழ்த்தி காட்டியிருக்கும் லயன் குழுவிற்கு உங்களுடன் சேர்ந்து நானும் பாராட்டுகளை தெரிவித்து கொள்வதில் கடமைபடுகிறேன். @ Cap Tiger: நண்பரே, எந்திரன் பாதிப்பு இன்னும் அகலவில்லை போலிருக்கிறதே, உங்களுக்கு? :) தீபாவளி பரிசாக தான் XIII வந்து சேர வேண்டும் என்று விதி எழுதி இருந்தது போல. ஒருவழியாக கிடைத்துவிட்ட மகிழ்ச்சியே போதும்... :) பதிவிற்காக உழைத்தன் பலன் கண்டேன் உங்கள் பதிலில், நன்றி நண்பரே. 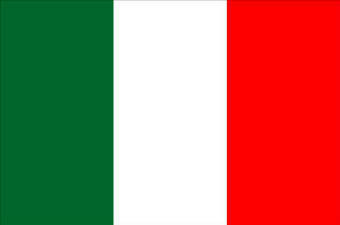 @ சிபி: உங்கள் வாழ்த்திற்கு நன்றிகள் நண்பரே. தீபாவளியை அடுத்து புது வருட கொண்டாட்டத்திற்கும் தயாராகி இருப்பீர்கள் என்று நம்புகிறேன். As you might have heard by now, Lion XIII Jumbo Special, owing to its price tag is not available on book shops or regular places where they ususally are found. The only option is to buy them from the distributors, which in this case is Prakash Publishers themselves. I am happy to know that you are still interested to look forward for our beloved Tamil Comics editions. You can count me too on that account, and I am happy to keep this forum up and running to bring this niche crowd to a common base, free and away from political groupism. On part of Cinebook editions, if you order them directly as and when they are released, you would have to pay that hefty price. I wait for them to be released in India, which generally happens in 4 to 6 months, to buy them alot. Reason, you can pick them up for 1/3 rd of price. The downside, you would have to wait, as I am yet to get #2 and #3 of XIII from Cinebook, which are expected only in the new year. Please try leaving your name (nickname), next time you visit, as that would help track your revisits :) Happy Reading. So good to see your comment back on our blog. I almost thought I had lost you in the crowd :). I am happy to see that my blogging ways haven't diminished in the interim, by reading your heartfelt comment. 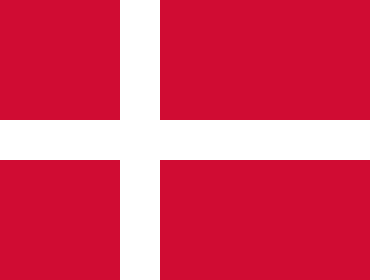 Hope I would keep the flag up. Western Books are a lost genre as far as the majority of Indian comics fans are concerned. Partly because publishers don't see them as a worthy reading genre for Indian fans. Should we blame them? or should we blame the readership which has never supported western ventures? is certainly a point to be debated. But then again, I can only put the blame on the publishers. Even the recent Egmont releases, have only been reprints, which have seen countless reprints already in the market. IF they keep treating fans this way, what better result could they hope to get? Tamil Comic fans even though aren't regular in reading these comics, or somehow having 1 or 2 releases every year, to keep the reading habit intact. But for English comic readers, there is always Cinebook who are bringing their lineup of cowboy titles almost every year to Indian markets. I hope you will start chancing them, whenever you get time. Painted cover arts have been the trade for Tamil Comics, all the while. 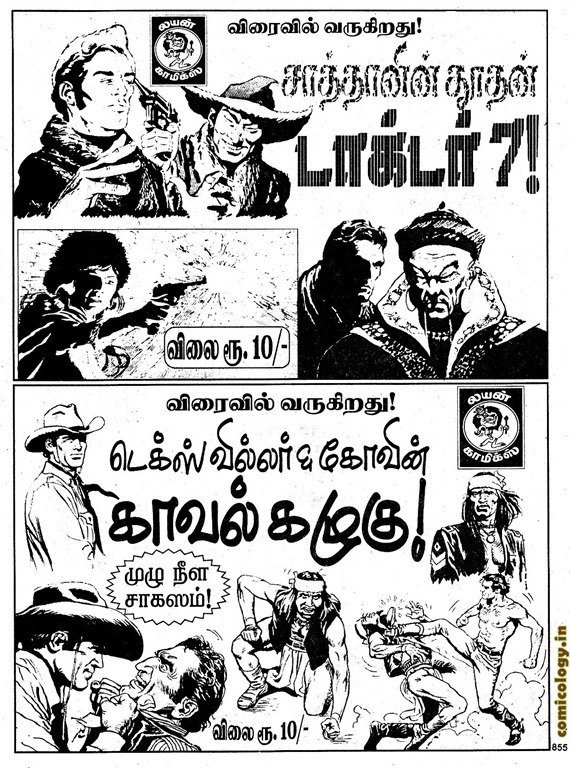 Tamil Comics hasn't advanced much on digital world could also be said as a reason for that, but I am still loving them the way it is. And good to know that there are like minded people out there too, like thyself. Thanks for Visit and comments, dear old friend. தொலைந்து போன பால்ய கணவுகளை தேடாதவர்தாம் யார்?? காமிக்ஸ் மீது நீங்காத காதல் கொண்ட இன்னொருவரையும் இந்த இணையம் மூலம் அறிந்து கொள்வதில் மிக்க மகிழ்ச்சி. ஜம்போ ஸ்பெஷல் தற்சமயம் கிடைக்கபெற்றிருப்பீர்கள் என்று நம்புகிறேன். படித்தபின் உங்கள் கருத்துகளை தவறாமல் பதியுங்கள். அப்படியே நேரம் கிடைக்கையில் மற்ற காமிக்ஸ் பதிவுகளையும் நீங்கள் நிதானமாக படிக்கலாம். மீண்டும் உங்கள் வருகையை பதிவு செய்வதை ஆவலுடன் பார்த்திருப்பேன். கருத்துகளுக்கு நன்றி புதியவரே. No doubts, it's the biggest achievement for Tamil Comics. But we can't help to compare them to their glorious originals, but then again the economies of scale, doesn't allow us to make those high ambitions. Nevertheless, we are good with what we have received. On the missing storyline part, I can guarantee you that missing out the XIII Mystery album hasn't added any twists in the storyline. What you would find XIII Mystery volume is just a recollection of what was unearthed in the earlier 12 albums, and giving them some strong bases. நண்பர்களே! இவ்வலைப்பூவினை காணுகின்ற போது பாடசாலைக்கால நாட்களும் அன்த நட்புக்களும், காமிக்ஸ் நண்பர் கூட்டமும் நிழலாடுகின்றது. நானும் ஒரு காமிக்ஸ் ரசிகன் . இலங்கையினை சேர்ன்தவன், இப்போது அமீரகத்தில் உள்ளேன். ஒரு காலத்தில் நிறைய காமிக்ஸ் கலக்ஷன்கள் இருந்தன ஆனால் சில பல காரணங்களால் அவை இப்போது இல்லை. 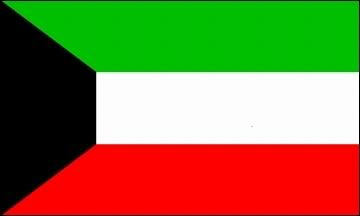 நாம் பாழ்ய கால நினைவுகளில் திலைப்பதில் தான் என்ன ஒரு ஆனந்தம். ஒரு பழைய புத்தகத்தை வாசிக்கும் போது, கைகாசை செலவழிக்காமல் காலஇயந்திரம் ஏறி நினைவுகளை அசை போட உதவும் என்பதை நாம் இருவருமே ஆமோதிப்போம். சமுதாய குடும்ப தேவைகளின் பின்னே, நாம் கடல் கடந்து ஓடி கொண்டிருப்பதில் ஏற்படும் இழப்புகளில் இந்த சேகரிப்பும் ஒன்று, என்பது நிதர்சனம். இத்தளம் அவ்விஷயங்களோடு நம்மை பிணைத்திருக்க உருவாக்கபட்டதே. கூடவே, நம் பழைய கால நினைவுகளை அசை போடுவதோடு, தற்போதைய நேர கால அமைப்பிற்கு ஏற்ப நம் ரசனைகளையும் பட்டை தீட்டி கொள்ளும் ஒரு முயற்சியே. இந்த முயற்சி மூலம் உங்கள் போன்ற நபர்களை அறிந்து கொள்ள உதவுவது தான் அதன் வெற்றியின் எடுத்துகாட்டு என்று நான் நம்புகிறேன். பழைய காமிக்ஸ் புத்தகங்கள் தற்போது புத்தக மாபியாக்களால் கையபடுத்தபட்டு, அநியாய விலைக்கு தள்ளி விட படுகின்றன. 1 ரூபாய்க்கு காசு சேர்த்து வாங்கிய அந்த இளம் வயது பாலகனால், தற்போதை பொருளாதார நிலையில் கூட இந்த அநியாய கூட்டடத்தோடு ஒத்து போவ முடிவதில்லை. எனவே, உங்கள் தேவைக்கு ஏற்ப, கவனமாக இப்படி விலைக்கு விற்பதாக விளம்பரம் செய்யும் தனி நபர்களை அணுகவும். அதிர்ஷ்டவசமாக, லயன் காமிக்ஸ் அலுவலகத்தில் இன்றும் 5,10 வருடங்கள் முன்பாக வெளியான பல இதழ்கள் ஸ்டாக் இருக்கின்றன. அவை புத்தகத்தின் சுட்டிகாட்டபட்ட விலைகளில் இன்றும் விற்கபடுகின்றன. அவர்களின் தொலைபேசியில் தொடர்பு கொண்ட பிறகு, காசோலையை அனுப்பி வைத்தீர்கள் என்றால் உங்கள் அமீரகத்திற்கே அனுப்பி வைப்பார்கள். என்ன புத்தகத்தின் விலையை விட பல மடங்கு நீங்கள் தபால் செலவிற்கு கொடுக்க வேண்டி இருக்கும். உங்கள் இந்திய முகவரி இன்னும் உபயோகத்தில் இருந்தால், அவற்றை அங்கே தருவித்து காசு சேமித்து கொள்ளலாம். துரதிஷ்டவசமாக தற்போதைய இயங்கு நிலையில் லயன் அலுவலகத்தின் அதிகார தளம் எதுவும் இல்லை. அதற்கான அக்கறையை அவர்கள் மேற்கொள்வதாகவும் அறிகுறி இல்லை. உங்கள் தேடுதல்கள் வெற்றி அடைய வாழ்த்துகள். மீண்டும் உங்கள் கருத்துகளை மற்ற பதிவுகளில் பார்த்திட ஆவலுடன் இருப்பேன். On this site you'll find information on lion comics. please give me your suggessions and feedbacks. @ SEO: I don't see any website link, about which you had referred. Please feel free to let me know what you would need to get you going, and I would be more than willing to offer, as time permits. @ Brugge: Hope you would have completed your reading by now. Pass on your feedback about the series, whenever you get time. Also, you don't need to pay 450 rs each for Cinebook's XIII titles, because if you wait for sometime, they would send out their low priced Indian editions, for sale. I collect only through that way, and it costs just 195 rs. per edition, also with a chance of handsome discount from online sites. comment on this comic issue, once you grab your copy. deserved a better treatment, for sure. First on Net, certainly it was, thanks to our friends. It seems the other early birds, missed their queue this time around :). yesteryears. The feeling is mutual, my friend. என்று பார்ப்பது தான் அடுத்த வேலை. உங்களுக்கும் புத்தகம் வந்து சேர்ந்தது அறிந்து மகிழ்ச்சிகள் தோழரே. உடனே புகைபடங்கள் எடுத்து புதிய பதிவில் கூட போட்டு விட்டீர்கள் போலிருக்கிறதே. உங்களுக்கும் ST Courier மூலம் தான் வந்து சேர்ந்ததா என்ன ? My dear friend. I knew that I would be asked this question, the moment I decided to write that it's the first time ever. But, belive me I am right for more than one reasons. நண்பரே, கற்பனை கோட்டைகள் காணும் போது மிக அழகாக தான் இருக்கும். ஆனால், நிகழ்வில் அது நடப்பது மிகவும் சிரமமே. right for more than one reasons. comic series have come in more bigger digests than this XIII Special. I wanted to bring to notice by that statement. Dear Friend, It's so good to see you back at our blog and making your presence felt. It is the biggest honor even to know that my writing has inspired a few to chance upon the unknown Franco-Belgian genre, which though can't rival their American counterparts, they are good on their own counts. I would love to make a request to Lion/Muthu Publishers to release some frequent/occasional English editions, but they don't seem to be in an order to pursue that interest anymore. They had tried it in the past, and now when their main line-up of Tamil titles are still not on a good track, them moving over that venture, looks highly unlikely. நீங்கள் கூறியதில் சிறிது நானும் உடன்படுகிறேன். சமீபத்தில் 200 ரூபாய் விலையில் பலே பாலுவும் வெளியாகி இருக்கிறதே, தரமான காகிதத்தில்? மனம் இருந்தால் மார்க்கம் உண்டு என்பதற்கு சான்று. இருந்தாலும் இந்த இமாலய சாதனையை நிகழ்த்தி காட்டியிருக்கும் லயன் குழுவிற்கு உங்களுடன் சேர்ந்து நானும் பாராட்டுகளை தெரிவித்து கொள்வதில் கடமைபடுகிறேன். நண்பரே, எந்திரன் பாதிப்பு இன்னும் அகலவில்லை போலிருக்கிறதே, உங்களுக்கு? :) தீபாவளி பரிசாக தான் XIII வந்து சேர வேண்டும் என்று விதி எழுதி இருந்தது போல. ஒருவழியாக கிடைத்துவிட்ட மகிழ்ச்சியே போதும்... :) பதிவிற்காக உழைத்தன் பலன் கண்டேன் உங்கள் பதிலில், நன்றி நண்பரே. கொண்டாட்டத்திற்கும் தயாராகி இருப்பீர்கள் என்று நம்புகிறேன். இது வரை ஸ்டாக் உள்ள புத்தகங்கள் இதே பதிவில் உள்ள இந்த ஸ்கான் பிரதியில் உள்ளது, கூடவே லயன் ஆபிஸ் முகவரி மற்றும் தொலைபேசி எண்ணும். I don't see any website link, about which you had referred. Please feel free to let me know what you would need to get you going, and I would be more than willing to offer, as time permits. Where can I get it? I used to buy every release of Lion comics.. those were the days. My childhood. When I see your blog, it brings back lot of memories. Can you please suggest me where I could get this copy? I am now living in Madurai? ?